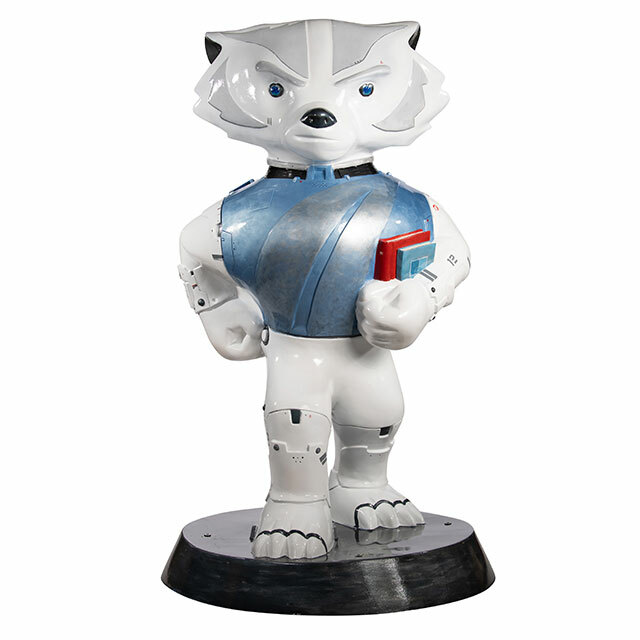 Could this be the Bucky of the future? 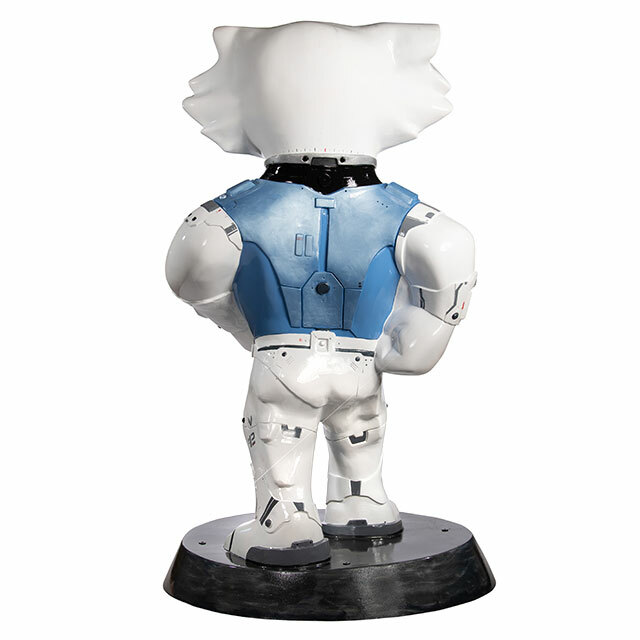 He’s ready to take over the world with his mechanical, intricate suit and superhuman abilities. The light blue shirt and books in hand are inspired by the sponsor of this statue, Madison College. Jeff is the co-director of the Animation and Concept Development department at Madison College as well as a full-time faculty member. While Jeff has spent the last nine years in the classroom, he previously worked in the video games industry for thirteen years. Jeff has worked at local game studios Raven Software, Human Head Studios and Big Rooster as well as non-local companies BioWare and Gearbox during his career. Jeff’s animation and/or concept art can be seen in the franchises Star Wars, Aliens, Prey, Rune, Soldier of Fortune and Lego Batman.